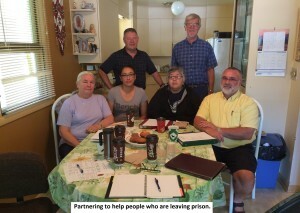 MICAH grew out of an ecumenical response to governmental cut backs in prison chaplaincy and the lack of adequate support for inmates upon release from prison. In September 2009, we were legally registered as The Micah Mission Inc. Since the beginning Micah has provided spiritual and practical support for people as they work to rebuild stability in their lives and relationships, in the wake of crime. Many of the people served by Micah are Aboriginal and are rebuilding in Saskatoon far away from family and community supports.